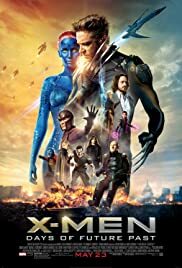 There is additional footage of pictures of deceased mutants on a wall and there is extended dialogue, when Wolverine and the other mutants are discussing what can be done by going into the past and changing it. There is an extra scene with Kitty Pryde and Iceman, before she sends Wolverine into the past. The fight that Wolverine has when he wakes up in his past body is longer and grittier. Wolverine gets into a car and tells an old girlfriend to lie low for a few days. The whole sequence inside of the X-Mansion, when Wolverine is talking to Beast and Professor X about the future, is longer, with extra reaction shots and dialogue, from Professor X. There is a small scene, where Iceman talks about going to find Rogue, since Kitty is losing a lot of blood, after being attacked by Wolverine. The conversation that Charles and Raven have in the airport is longer and ends differently. Charles tells the others that he has no idea where Raven is going and they tell Charles that he needs rest. There is a small scene of Beast asking Logan about his fate in the future, though, when he finds out that he is doomed, Logan eases him by saying that the future can still be changed. This scene was altered and came later on, in the film, in the theatrical version. Raven goes to the X-Mansion to stay for the night, when she meets Beast and tells him that she has nowhere to go. The two share an intimate moment, on their own and Mystique tries to coax Beast into being proud of his appearance. Iceman and Magneto go to the future X-Mansion and break in. There, they find Rogue, who has been experimented on. They take her out of the mansion, but Iceman sacrifices his life to save them, as soon as the Sentinels arrive. Magneto takes Rogue with him to Professor X, who fights off another Sentinel, and they escape the ruins of the Mansion. This entire sequence is inter-cut with the scene in the film of the younger Magneto going to retrieve his own helmet. There is even an alternate shot of him looking at the glass case, spotting the small coin that killed Sebastian Shaw, in the last film. In the rest of the 'future' scene, the arm of the Sentinel is stuck to the X-Ship, showing how the Sentinels find the X-Men in the end of the film. In the Theatrical version, it seems that the Sentinels just happen to come across them, later on. Mystique goes into Cerebro and destroys the helmet, so that Charles can't track her down. 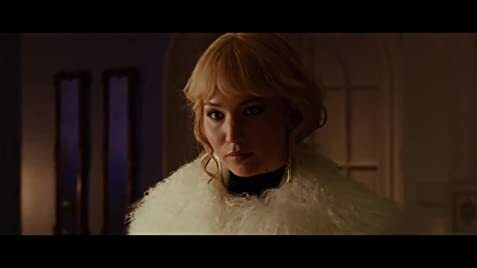 Rogue arrives with the other X-Men to tell Kitty about what has happened to Iceman and uses this moment of tragedy, for Kitty, to take her powers and carry on helping Wolverine stay in the past. All of the later scenes that take place in the future are now altered, by having Rogue be in Kitty's place, so all shots of Kitty, from this point on, have her sitting beside Rogue or on the floor. In the Theatrical version, all of the shots where Rogue is present, were changed to shots of Kitty and Iceman. There is a short scene of the younger Charles, Beast and Wolverine talking about Mystique's sabotage of Cerebro. There is more dialogue when Charles hides in the crowd, during the unveiling of the Sentinels, of the 1970's. Q: Why does Future-Wolverine have his Adamantium claws back? Q: Is this set in the Marvel Cinematic Universe?